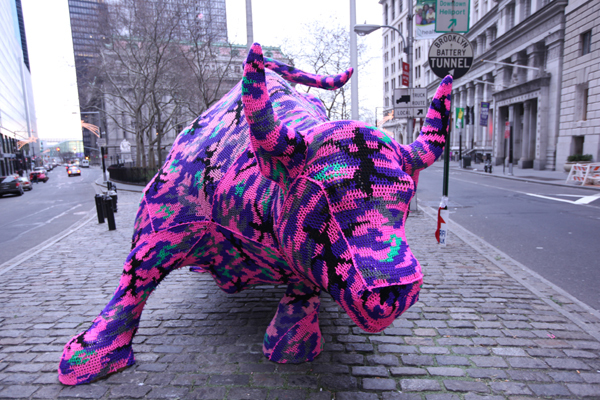 New York City’s iconic Wall Street Bull was given a quick make over by artist Olek. The artist covered the bull with a pattern crochet. Watch the video below and see how the artist was able to mask the Wall Street Bull. OLEK AND THE CHARGING BULL ON WALL STREET from olek on Vimeo.